Book your Ishigaki Dream Tours ferry today with AFerry and make the most of any visit to Japan. The operator Ishigaki Dream Tours offers ferries between the islands of Taketomi, Kohama, Kuroshima, Iriomote, Hatoma and Ishigaki, located at the westernmost part of Okinawa prefecture in Japan. These islands cover an area of 228.36 square miles and the sea around them is home to many species of subtropical plants, dolphins, sea turtles, manta rays and even whale sharks. AFerry always has cheap prices for Ishigaki Dream Tours ferries and the latest offers. Click on your ferry route below for a detailed Ishigaki Dream Tours timetable. 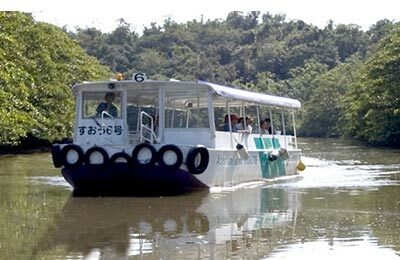 Ishigaki Dream Tours ferries have been designed to help prevent seasickness. Some of their ferries have glass bottoms so you can see marine animals right underneath you. All the fleet is equipped with air conditioning. How long before departure should I arrive for Ishigaki Dream Tours?